Thank you so much! As promised all total sales in our special ‘ciber lunes’ 4 day promotion, from this past November 23rd to November 26th, are going to unoentrecienmil.org‘s Proyecto Corre, a project set up by a dad in our son’s class to raise funds into investigation of Infant Leukaemia, an illness his son is now recovering wonderfully from. The grand total of sales for this special promotional period is: 9,673.89 Euros! 130 of you, our wonderful listeners, made the most of this promotion to improve your Spanish and help this special cause at the same time. So, this week, Notes in Spanish will be transfering 10,000 euros to unoentrecienmil.org and their ‘Proyecto Corre‘ to help save every child that suffers from Infant Leukaemia – not just 8 out of 10 (the current survival rate), but 10 out of 10 children with this illness. 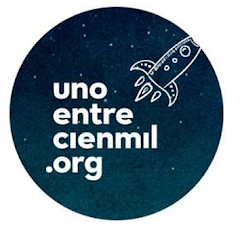 To find out more about how unoentrecienmil.org and Proyecto Corre came to life, I really recommend reading Jose’s Spanish blog post here. It’s incredibly moving, inspiring and motivating.